A time-lapse of a picturesque mountain countryside . 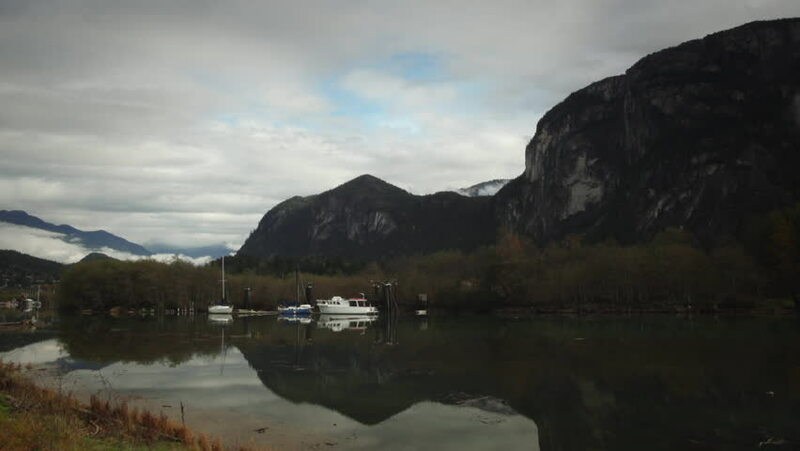 Clouds, roll, churn and form over Stuwamus Chief Mountain and as boats are reflected in the calm waters near Squamish, British Columbia. hd01:00Beautiful sunset in Norway. Sunset aerial footage. Sunset in the north seas.